Updates are happening DAILY. Homepage first! Academy page will begin updating after Christmas. 750,000 people have visited and 1000's are rolling in, weekly.. so we decided to do a complete overhaul. First time in a decade! 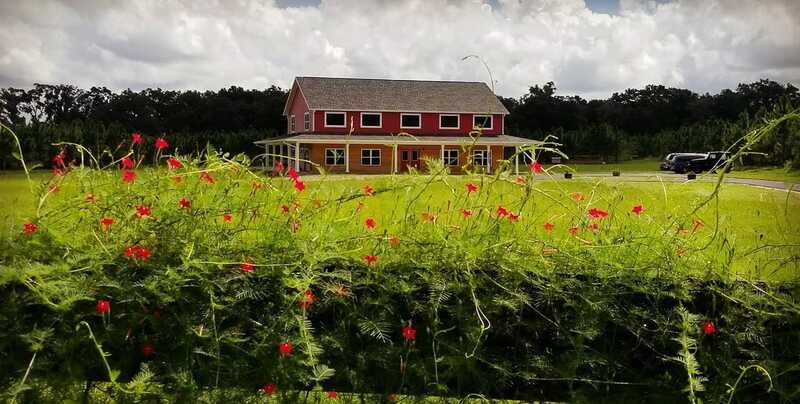 Our Coach Scotty, Founder of ICTA, has built a new Lodge in Florida for his family as he grows his mini-horse & Angus farm into a ranch. Coach Scotty founded ICTA in 1999. 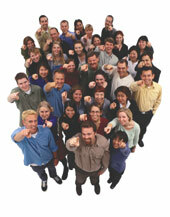 ICTA has gathered membership in over 3000 cities in 80 nations. Join today! 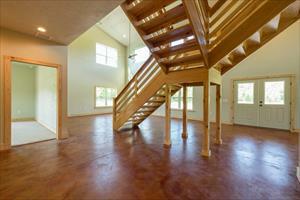 Coach Scotty had dreamed for years to build a horse and cattle ranch. After 30+ years coaching tennis and 20 years in public ministry he chose to follow that dream! Coach Scotty gathered together investors in 2015, developed a multi-phase growth plan, and did what he does best... BUILD! 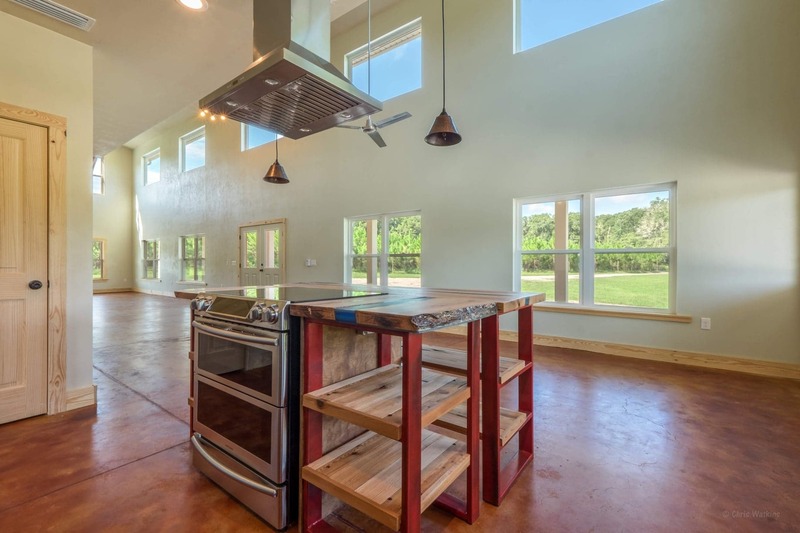 Whether it's a world class tennis player from a beginner, a global membership of Christians in tennis from ZERO, or a 5500'+ Lodge and a ranch... Coach Scotty knows how to build. He and his amazing wife, Ana, WELCOME guests from around the WORLD. People from over 40 nations have come to visit Coach Scotty! Pastors, foreign exhange students, tennis players, famous Christian music artists and speakers, leaders from all walks of life, family, friends, university tennis coaches, cattle ranchers, horse trainers.. and so, so much MORE! Call or text Coach Scotty... 386 338 5524, or contact him on Twitter @christiantennis, or email.. coachscotty@yahoo.com! Ride a camel at the Egyptian pyramids. Sleep in a 100+ year old treehouse in Ecuador at the farm of the family that grows the world's finest and most expensvie cocoa beans. Walk on the Great Wall of China. Hike Peru's Machu Picchu. Climb waterfalls in Ecuador's Amazon rainforest. Travel the Outback in Australia. Sound exciting! Haha.... IT IS!! Coach Scotty has sent his national and world class junior and pro tennis players to pro tennis tournaments for almost 20 years. He KNOWS travel. 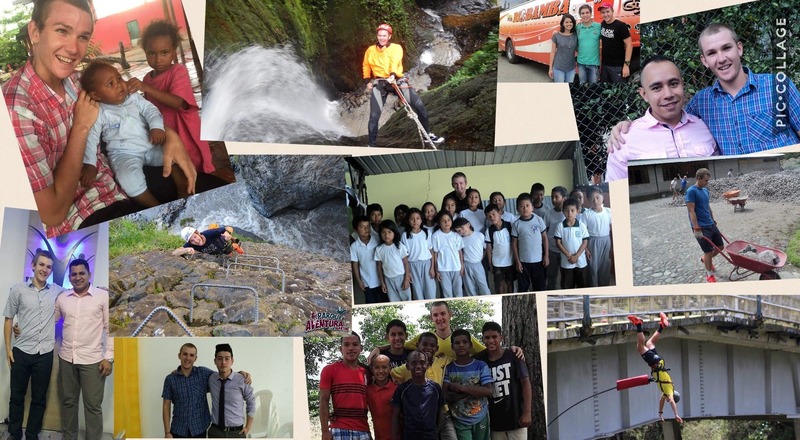 Each trip combines adventure and missions outreach for an awesome experience. Tour a family coffee farm in Colombia. Visit the White House Congress, and Smithsonian Museums in Washington DC. Spend a day at Disneyworld followed by a day visiting NASA at the Kennedy Space Center. Paraglide near Shell, Ecuador. Eat authentic chinese food then explore China's Forbidden City. 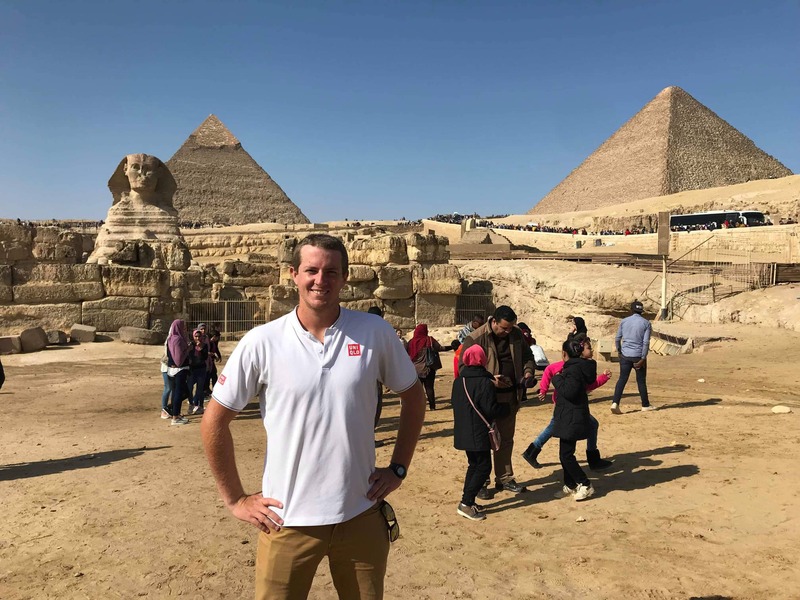 These are each ADVENTURES that Coach Scotty has sent his players to ENJOY as he grows and expands their confidence, worldviews, cross-cultural awareness, teamwork, faith. Visit Old City in Jerusalem, Israel. Snorkel in the Red Sea in Sharm el Sheikh, Egypt. Attend a Chris Tomlin concert in Florida. Mountain bike down Cotopaxi... the largest active volcano in Ecuador. Snap photos in the Collosseum in Rome. You beginning to see the OPPORTUNITIES!!?? Good! 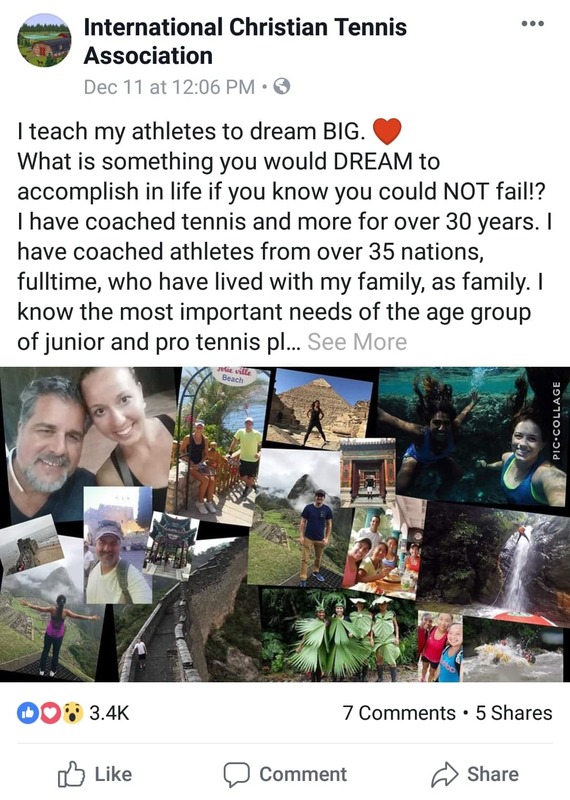 There is NO better way to compete on the global ITF pro tennis circuits than on one of Coach Scotty's travel teams where EVERYONE supports each other during travel, training, and competitions! 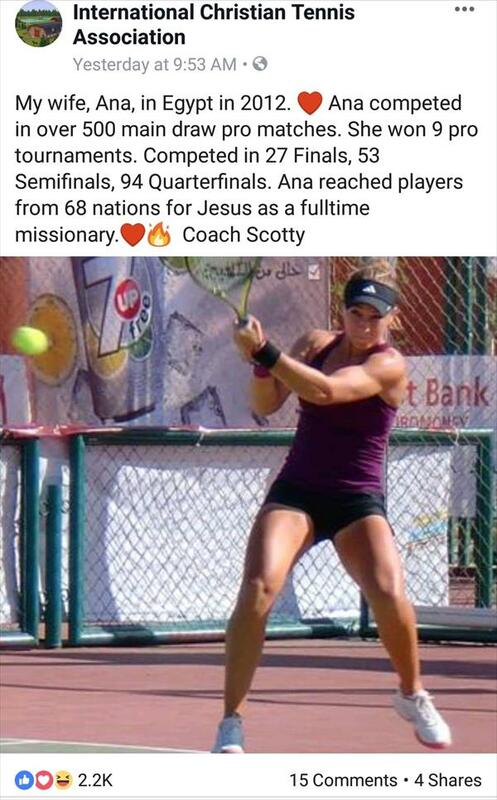 Over 1,000,000 miles of worldwide travel directly related to Coach Scotty's Pro Team travel to International Tennis Federation (ITF) professional tennis tournaments. 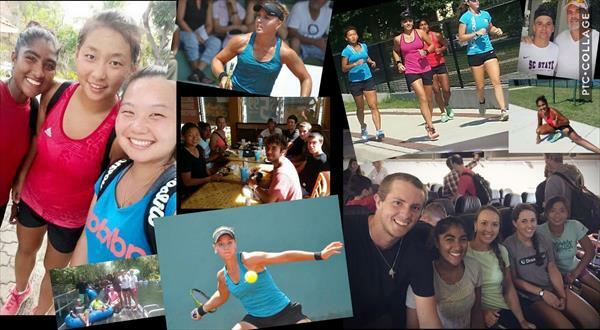 On-site at the ITF pro tournaments ICTA Pro Teams have helped world class junior and pro athletes from 70+ nations. Friendships with players, coaches, tournament staff, and fans developed some of which had lasted over a decade and still going strong. Competed in over 500 main draw ITF pro matches and 100s of Qualifier matches. Are you a national or world class junior tennis player? Are you pro? Contact Coach Scotty about joining a team. Are you a junior or college player and want to see the world while experiencing the pro circuits, mission outreach, incredible adventures!? 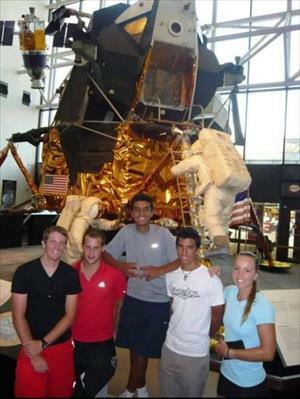 Visit NASA at Kennedy Space Center in Cocoa Beach, Florida! . Visit the White House in Washington, DC! Visit Disneyworld in Orlando, Florida! Tour the Coke factory and tour Chic Fil A headquarters in Atlanta, Georgia! 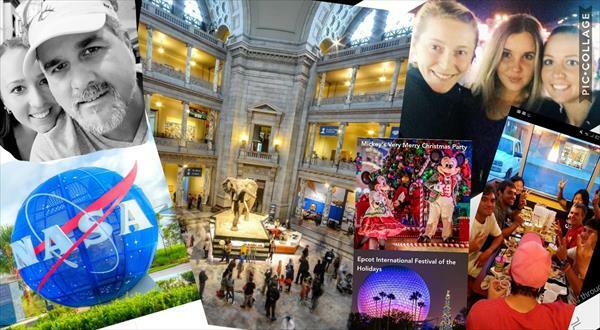 Explore ALL the world renown Smithsonian Museums in Washington DC! Watch America's Congress in action in Washington DC. Meet astronauts! Talk with 3 Pastors of large, successful churches about Leadership. See the East Coast of America. Immerse yourself in proven leadership skills development! AND... eat Coach Scotty's famous Iron Skillet Lasagne! Day 1: Up to 20 students and the school Russian Director & his wife... arrive in Orlando airport. Coach Scotty and his wife, Ana, along with 3 of Coach Scotty's international interns meet them all at baggage claim. Coach Scotty brings everyone to the hotel where there is a meet & greet, a local dinner, and a Leadership meeting before bed. Day 2: Breakfast together, Leadership class, the group explores Disneyworld. Walt Disney is one of the greatest innovators, dreamers and achievers of our lifetime. Day 3: Drive to earby Kennedy Space Center, check into hotel, the explore among NASA's greatest achievements. Meet & greet with astronauts. Bible study before bedtime. Day 10: Drive to Atlanta on way back to Florida. Check into Hotel. Prayer before bed. Day 11: Tour the Coke factory in the morning. Tour Chic-Fil-A headquarters after a Chic-Fil-A lunch. Drive to Coach Scotty's Lodge. Check into Hotel. Day 12, 13: Meet with 3 different Pastors and staff of 3 large, successful churches to discuss Christian leadership. Explore the University of Florida (#8 ranked public university and #38 ranked of all universities in USA), Sante Fe Community College (#1 ranked community college in USA). Dinners and evening movies, ping pong, billiards, games at Coach Scotty's Lodge. Day 14: Drive to Orlando. Lunch. Prayer. Group fly to Russia. International Christian Tennis Association, founded in 1999, impacts the world through programs designed to provide effective outreach and discipleship through tennis (Mathew 28). 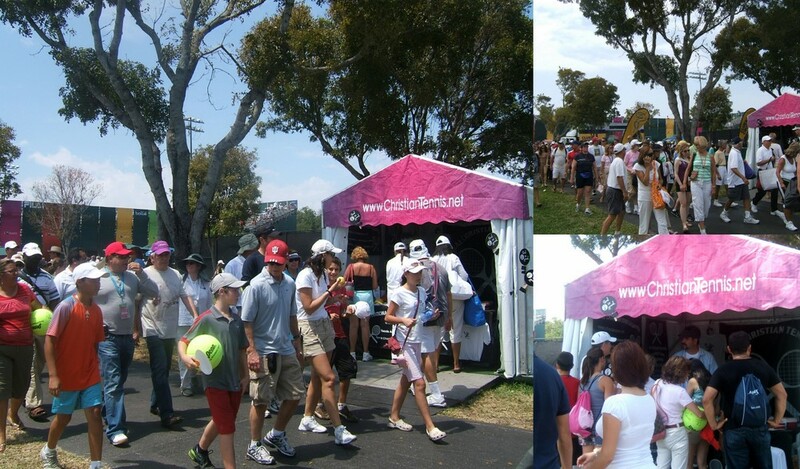 ICTA Global Outreach booth at world's 5th largest pro tennis tournament, the Miami Open, which we first attended in 2003. ICTA Global Mission has provided outreach to 100,000s. Tennis fans from 3000+ cities in 80+ countries have joined ICTA's free membership. Each member adds strength to ICTA's ability to reach the global tennis industry. Christiantennis.net has gained over 750,000 visitors, globally. Coach Scotty's Twitter has 600,000+ Tweet impressions, yearly. ICTA Facebook has 13,000+ Followers. Every new member strengthens ICTA's negotiating ability within the global tennis industry. Fellowship and network with Christian tennis players and fans around the world with your limited offer, free ICTA Membership! Not all benefits are currently available. Free Enewsletter: Receive ICTA's Enewsletter! Keep Updated: Stay On Top Of ICTA Events! Free Subscription: ICTA's Faith & Tennis Magazine Online Is Yours Free! 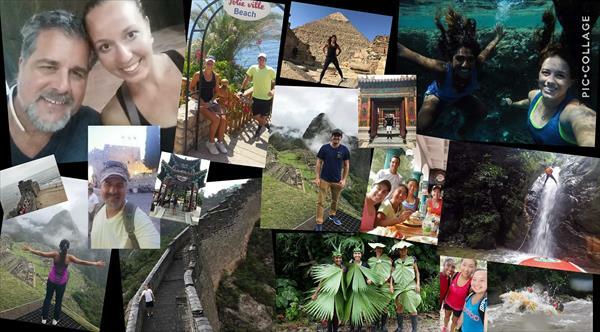 Mission Trips: Get Connected With ICTA Global Missions! Members Only Area: Enjoy Select ICTA Videos, Invitations to Attend Trips, Special Newsletters & more...! 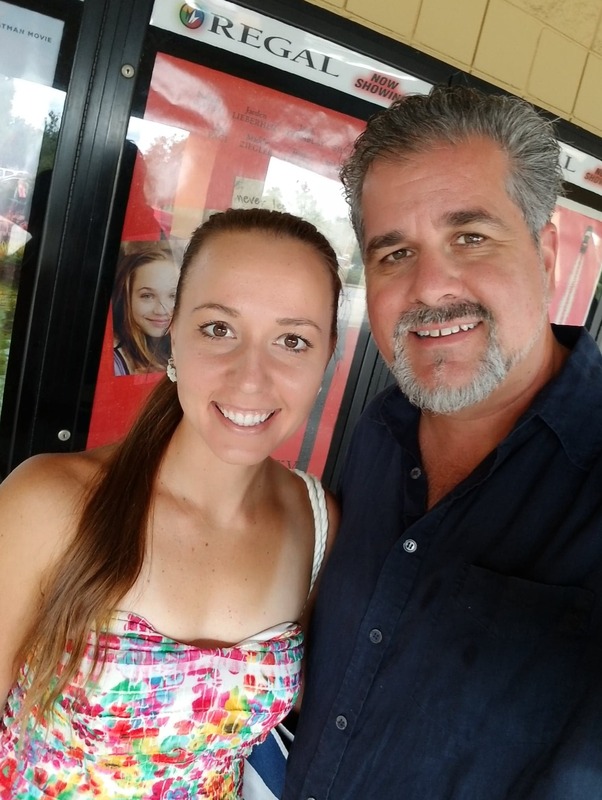 Our Coach Scotty has designed a unique missionary/pastoral developmental program to bring confidence and courage to qualifed young adults who have PASSION to become a Pastor and/or Missionary. This program includes a university degree, a seminary degree, working at local churches, and global missions! 19 year old Daniel from Australia trained at Coach Scotty's tennis academy for two years. He then decided he wanted to become a Pastor some day. Daniel has incredible shyness, difficulty speaking to groups, was homeschooled his whole life, difficulty in social settings, little inner confidence, poor leaderships skills, and on and on. But, what a neat kid who LOVED Jesus! Daniel agreed to a 4 week training period. 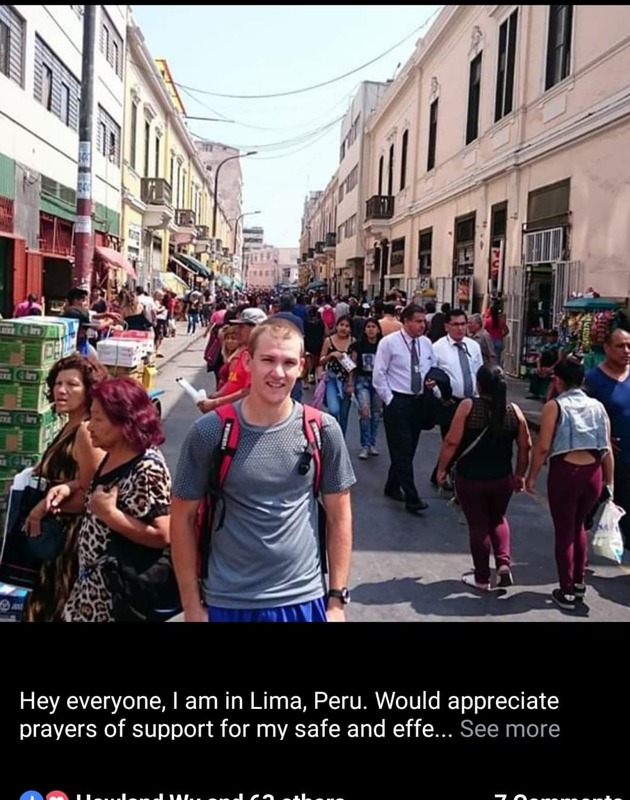 He was sent to Guayaquil, Ecuador.. with no idea how to speak Spanish, no smartphone, clothes that would fit into a backpack, and an ancient laptop computer. He was given no clue as to what his training, assignments, etc would be. He only know where he was flying and the hostel where he would spend his first night! The journey that followed would forever change Daniel's life story for Jesus! In the month that followed Daniel met, lived withand served with the Pastors from many churches throughout the nation. He experienced adventures, overcame personal obstacles, built lifelong friendships. 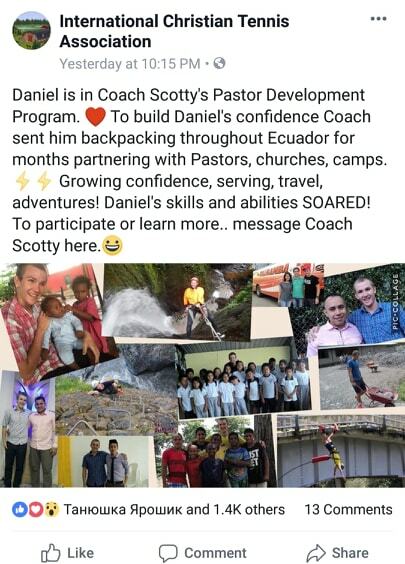 He's been back to Ecuador many times... alone or with others Coach Scotty sends. Daniel has journied throughout Ecuador and Colombia. He has participated in missions outreach in Peru and Egypt. He attends America's #1 Community College fulltime. He works at a local church. 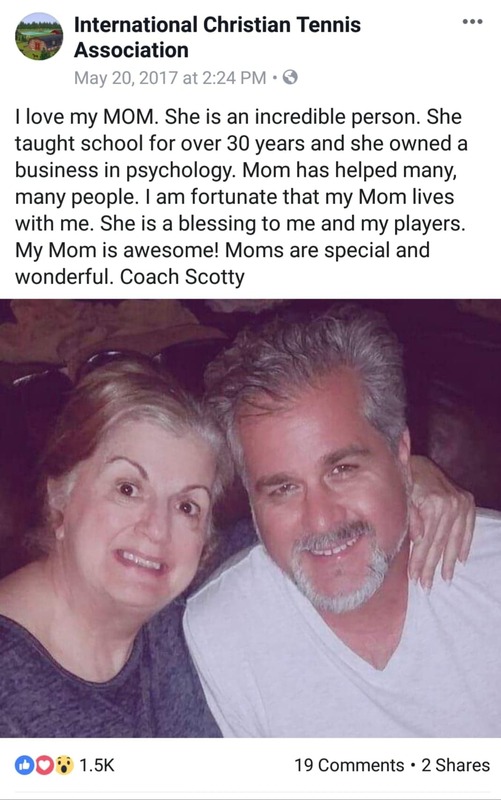 He is an intern for Coach Scotty. Daniel will finish his degree at University of Florida, then will attend Seminary fulltime online while traveling the world on intense, impactful missions. Our Coach Scott Paschal, ICTA Founder, has met 100s of Pastors nationwide, and many more worldwide. He sees a need for Pastors to be developed who have a heart for the Great Commission.